Anon. sale, Christie's New York, 15 January 1992, lot 66. 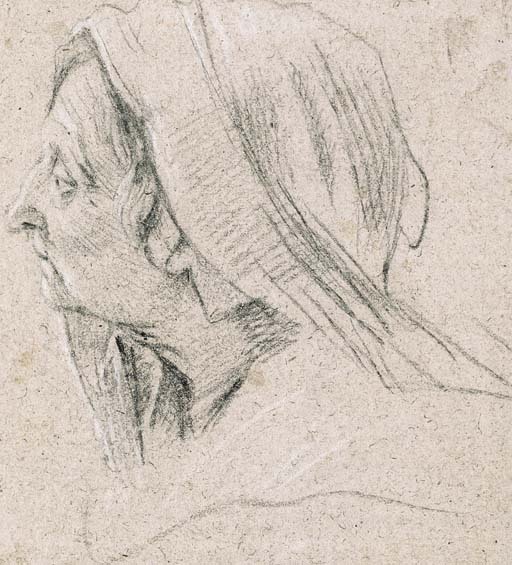 A preparatory study for the head of Saint Anne in a lost altarpiece of The Lamentation known through a print by Pierre Daret dated 1639.